Travel Costs > How Much Does CLEAR Cost? How Much Does CLEAR Cost? As of today, if you enter an airport, you will have to stand in two lines: one line to verify your identity and yet another for a physical security screening. This is where CLEAR comes in. With CLEAR, travelers who have enrolled will be able to bypass the identity verification line and jump straight to the physical screening line when they pass through the authentication process through the CLEAR kiosk system by using their fingerprint or an eye scan. With its own separate lane, CLEAR helps verify your identity at the airport and bypass everyone in line. If you’re enrolled in the TSA PreCheck system, then you can be escorted directly to the PreCheck line, saving you even more time. How much does Clearm.com cost? 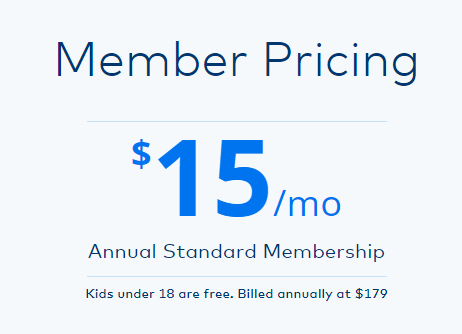 The costs of Clearme.com, at the time of this publishing, was $15 a month, which is billed annually at $179 a year for those older than 18 years old for the first member. There are promotional codes online in some cases that can knock as much as $30 off the price. Adding a family member will cost another $50 a year per member older than 18 years old. As per the fine print, kids under 18 are free as long as they accompanied by a CLEAR member. These prices are subject to change and are accurate as of this publishing in 2018. For up to date 4information and to consider signing up, do refer to the official website to see how it works in action and the current price. If you have a Delta membership, however, your pricing will be much different and will be based on the type of membership you currently have. Diamond Medallion members will receive a free membership, while all Platinum, Gold, Silver Medallion and SkyMiles credit card members will pay $79 a year. Lastly, as long as you hold a Delta membership and are considered a “general” member, then you can sign up for $99. At participating airports, which you can see an official list here, you will stop by one of the dedicated clearly labeled CLEAR lanes, where a CLEAR member will great you. As of today, they have kiosks at 30 airports, including Atlanta, Austin, Baltimore, Dallas, Denver and Detroit, to name a few. Refer to that previous link to see an up-to-date airport list as it will change periodically. Next, you will verify who you are by tapping your finger or blinking your eye at the kiosk to verify your identity as well as present your boarding pass. To see it in action, you can see it in action via the video below. Once “CLEAR,” you are then able to skip the security line in less than five minutes or less, allowing you to speed through the long lines for ID check and guide you to the physical screening line. The company first asks you to start the process online, and in order to enroll, you will need to have one of the following identifications, as per the FAQ: US Driver’s License, US Passport, US Passport Card, US-issued Permanent Resident Card, State Issued ID, or US Military ID. Any form of identification you choose you to use must be valid, not amended, have a photo and unexpired. After you enroll, you will then be asked to visit one of their official locations, which is at one of the airport locations mentioned above. No appointments are necessary when you complete your initial enrollment, and in as little as 10 minutes as long as you have your identification, you will be able to speed through the airport lines on the day you enroll. The main difference between the TSA PreCheck and CLEAR is that CLEAR will speed members through the airport security portion to the physical screening line, whereas the PreCheck line will speed passengers through the actual physical screening line. Global Entry, on the other hand, will speed eligible passengers through the US Border Control and Customs on arriving flights. If you are PreCheck and CLEAR eligible, then you avoid both lines as long as eligible for that flight with your PreCheck. Now, with PreCheck, you are not guaranteed this option each time you board as in some cases, you can be randomly excluded and sent back to the standard line. CLEAR, on the other hand, will never randomize your check in, and as long as you’re active, you’re able to use the kiosk and skip the identity portion. Everyone who enters will also be greeted by a CLEAR employee who understands how the system works, in comparison to the PreCheck line where some passengers enter the line not knowing what they are getting themselves into, causing a tangle. Lastly, other distinctions include working with any airline, while PreCheck only works with participating airlines. If you are already PreCheck eligible, then visit the CLEAR lane to prove your identity.